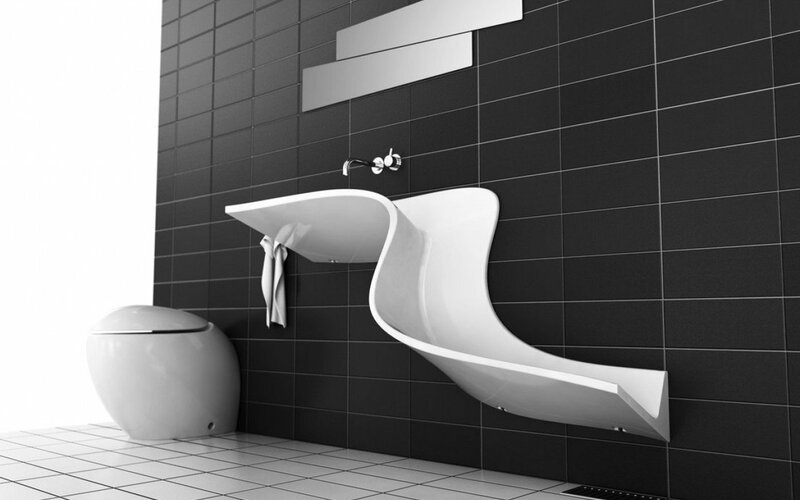 Abisco Washbasin is a totally new concept for our modern lifestyle. In these environmentally-conscious times the cast mineral marble washbasin Abisco brings us back to nature. 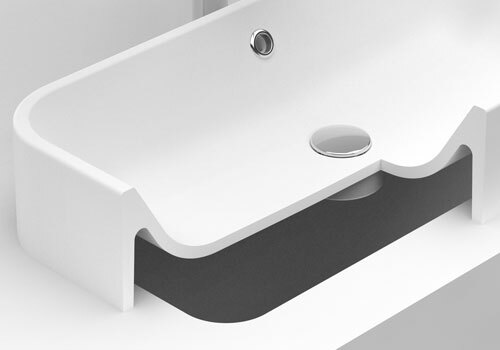 Inspired by the unspoilt waterfalls of the Swedish National Park Abisco, the sink is unfettered by pipes. 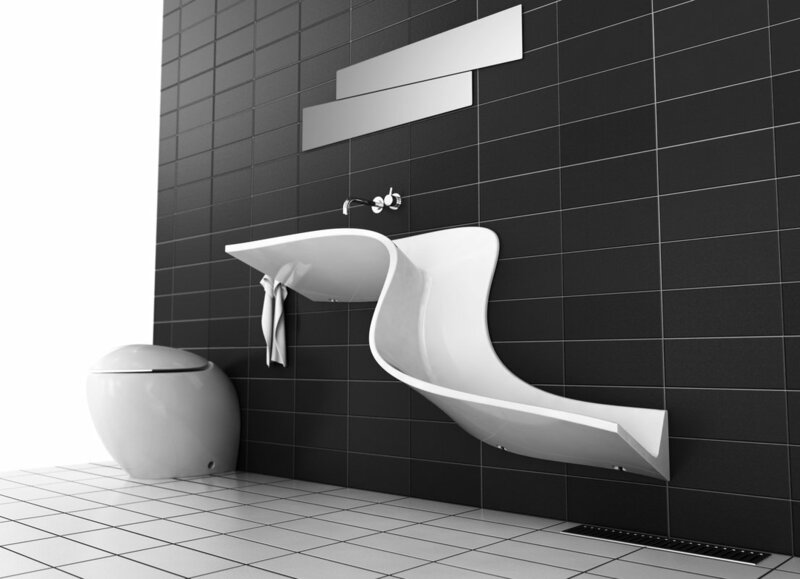 Nor does it allow water to accumulate in a big tub, something designers Johan Kauppi and Lars Sundström deem unnecessary. Rather, one should be aware of just how much water one is using, and catch it with careful consideration. 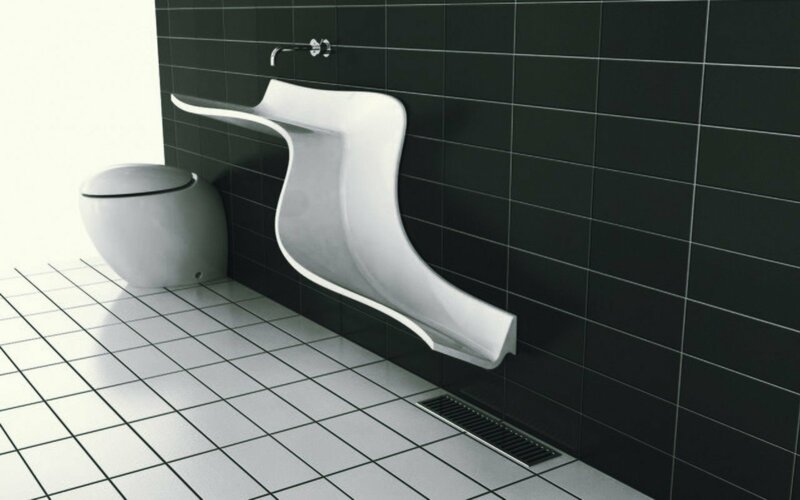 An extraordinary, sculptural piece, the Abisco washbasin captures the freshness of mountain streams as water cascades down the length of the sink to slip away down a discreet floor-level grill. Living with an awareness of our limited resources, surrounded by cherished objects... these are the keys to happiness offered by the Abisco Washbasin.